I would recommend you sent that in to an RSC for service... assuming it is real. Popped off a couple weeks ago. Somehow glued itself to the second hand. Doesn't affect the timing yet. Will fix soon. Nice! I have C Ward trident on the way, not sure when it's going to ship though. Was originally up for pre order for end of August, they recently pushed it out to the end of September. I think I may add a couple more to my nonexistent watch collection by the end of the year. Really want the red bezel one. Nice!! Are you getting the one with the white dial or black dial? Here's my Citizen Eco-Drive World Perpetual on a NATO strap. It's a cool watch: it's solar powered so I don't have to worry about batteries or keeping a spring wound when not wearing it; it syncs with the radio transmitted world clock so it's always accurate; and it automatically adjusts based on any time zone in the world, which has been a nice feature on international business trips. Best feature is that it was my Dad's, who recently passed away. Vostok I picked up on eBay for cheap. The strap it came on was basically disentegrating, so it's on a leather NATO until I figure out what strap I want for this thing. Anyone know of an 18 mm bracelet that would work? This thing is quirky as hell, but I think I really like it. 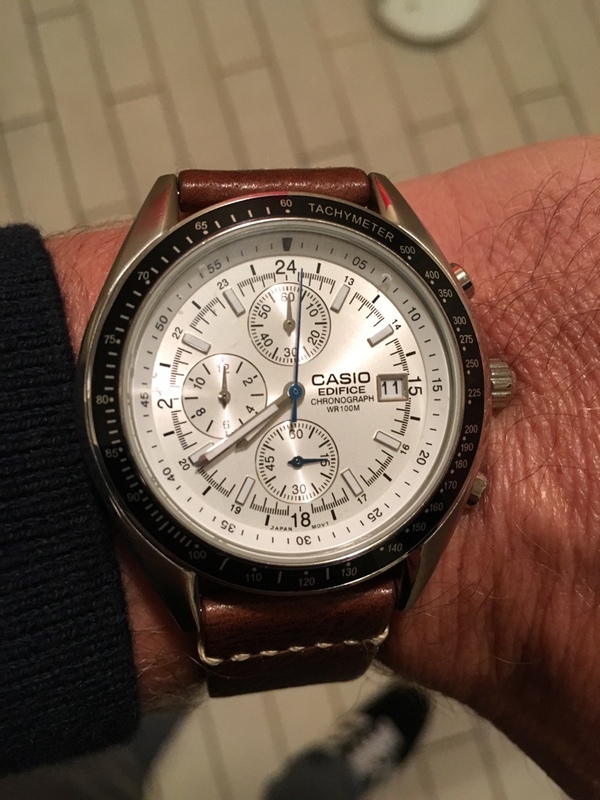 Casio edifice for casual Friday at the office. @BillN I've had my eye on Vostok watched for a while now. Haven't gotten around to actually buying one yet. I do like the face and style of the one you're sporting though. Nice find. 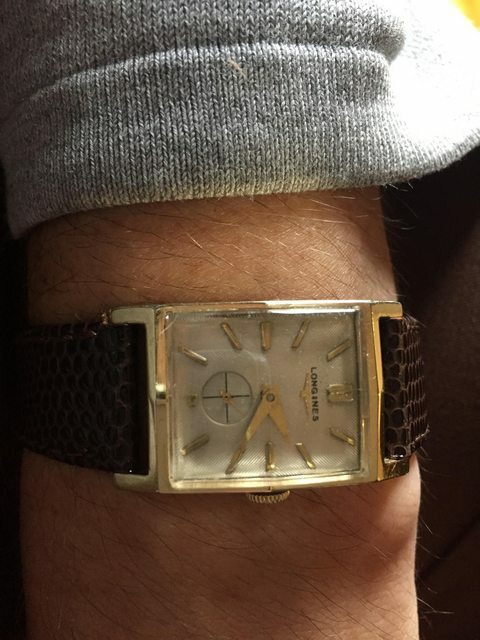 1956 Longines dress watch. Manual. Sweep sub seconds. Last edited by DandyLion; October 1st, 2016 at 04:37 PM.